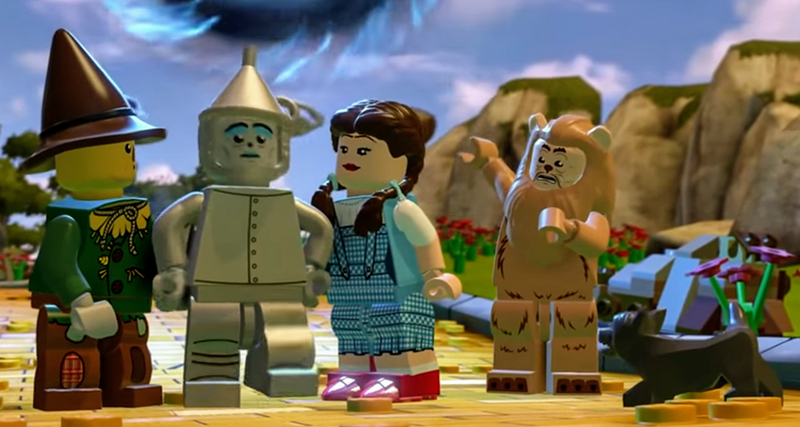 One of the most exciting inclusions of the recently released LEGO® Movie 2 minifigures, are the four characters from the Wizard of Oz. This iconic movie has been delighting moviegoers since 1939 and in its 80th year, the characters are once again causing excitement thanks to LEGO. The four characters from the film are amongst the 20 characters featured in new series of LEGO Minifigures, and people are desperate to add them to their collections. But the journey down the yellow LEGO brick road, actually began a couple of years ago with the toys-to-life game, LEGO Dimensions. When the game was released in 2015, one of the first expansions packs to appear alongside the game was Fun Pack 71221: Wicked Witch. This provided the first physical Wizard of Oz character, with the Wicked Witch. She was joined by a brick-built flying monkey. She also played a major role in the main game, with the first level being based in Oz. Players could take a trip down The Yellow Brick Road, before popping into Munchkin Village. Then creeping through the Forest, before arriving in the Wicked Witch’s Castle. Use the Toy Tag included with the Wicked Witch Fun Pack, would also unlock a Wizard of Oz Adventure World. Some of the other characters did appear but only in digital form. They also returned in the special animated episode of Teen Titans Go, featured in the last wave of LEGO Dimensions sets. The Wicked Witch returned in 2017 by making a surprise appearance in The LEGO Batman Movie. This classic movie villain made the leap from the LEGO Multiverse into the Phantom Zone. There she plotted with fellow bad-uns, such as Agent Smith from The Matrix, Harry Potter’s Lord Voldemort, Lord of the Rings’ Sauron and a gang of Gremlins. She also had her own team of Flying Monkeys, this time in Minifigure form. It wouldn’t be until the last wave of LEGO sets based on The LEGO Batman Movie, that we’d get another taste of the Wizard of Oz. The Wicked Witch made her second Minifigure appearance in set 70917: The Ultimate Batmobile. This not only featured another Wicked Witch, but also two Minifigure Flying Monkeys. With the release of the new series of LEGO Minifigures, the main cast of the Wizard of Oz is just about complete. 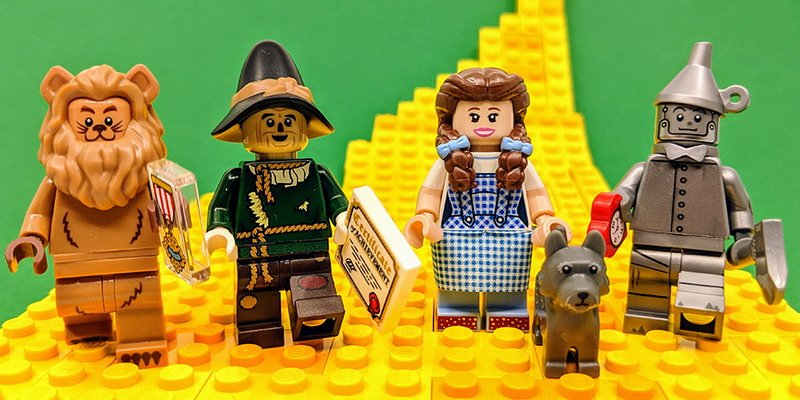 The LEGO Movie 2 series features four Wizard of Oz characters – Dorothy Gale, with Toto, Scarecrow, Tin Man and the Cowardly Lion. As mentioned above, these four have already appeared as digital Minifigures in LEGO Dimensions, and their appearance there is surprisingly similar to that of the Minifigures in the latest collectible series. Every new collection of LEGO Minifigures always gets people excited but this particular series has ready got people excited, solely because of the Wizard of Oz characters. Officially The LEGO Movie 2 Minifigures Series is released on February 1st, but many stores have them on sale now. It’s expected that the characters will also make an appearance in The LEGO Movie 2.